» Another time change looms: Nuts! Another time change looms: Nuts! The insanity of our semiannual time changes has long been established. No additional proof is needed, but we’ll get it anyway on Sunday. 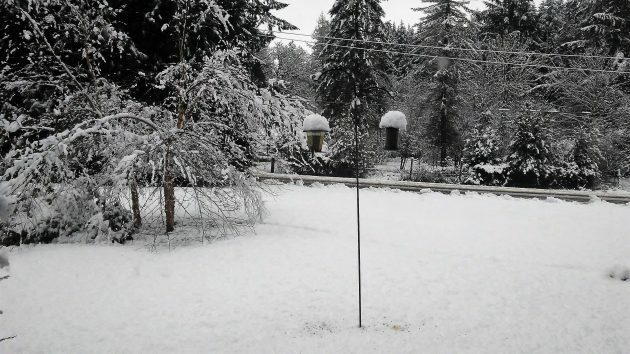 Sunday morning is when Oregon is supposed to begin what long ago used to be called, at least by some people, “summer time.” But obviously winter won’t be over. According to the calendar, winter will have more than another week to go while “summer time” is in effect. The weather, too, is unlikely to allow us to make much use of the extra hour of daylight we’ll be getting in the afternoon. The long-range forecast for the weekend predicts — surprise! — cloudy skies and rain, with lows in the 40s and highs in the low 50s. Since it cannot be demonstrated that switching from standard to daylight saving time in March, and back again in November, does any good or saves anything, especially not electric energy, why do we keep doing so? Beats me. Some time ago, a proposed Oregon ballot initiative to cancel daylight saving time fizzled out before it even got started. Since then nobody has successfully urged our lawmakers to take matters into their own hands. A search of bills introduced in Salem this session shows not a single one dealing with daylight time. And our lawmakers in Congress appear no more interested than those of the state. Consider, Hasso: an extra hour of light in the summer, when many people like to get out and enjoy a leisurely evening on workdays, can be nice. I agree. That’s why I think we should adopt daylight time and keep it year round instead of doing this back and forth. The thing that I find most interesting about this is that the people of Oregon never voted for the time change. I remember it being voted down heavily several times. Then Governor Mark O. Hatfield said that it was obvious that the people of Oregon didn’t know what they were doing so he proclaimed it. That should have guaranteed him a front seat in Hell. If people really want to work different hours they can usually get their employer to change the company hours. My position on this is well known. Keep standard time, abolish daylight saving time. Too many things going on in the early morning hours that require daylight, namely public schools and wives leaving for work. We already have extended daylight in the summer solstice period here in Oregon. Other states will follow if we take the lead on this. Why don’t we just set our clocks to Moscow time? Trump would like that. The real solution is to eliminate all time zones and use UTC (similar to the obsolete GMT). No more daylight BS. Then every business, school board, parks department, etc., can set its hours according to its own needs and the seasons. People can debate over real concerns like pre-dawn school, after-work leisure, and peak-time traffic congestion, instead of just accepting the old 9-to-5 default. My motivation for advocating global time is the clash between websites that show times for me locally without saying so, and those which show times in some other unspecified zone. This is a serious problem because of “gotcha capitalism” and its love of deadlines.